We evaluated leaf fragments of three castor bean cultivars after being subjected to water stress. Leaf discs were exposed to polyethylene glycol (PEG-6000) solutions for tissue dehydration at various water potentials. After water-stress imposition, electrolyte leakage and chlorophyll a fluorescence were used jointly on the same leaf fragments cut from the same plant leaf. Furthermore, these two experimental procedures were adapted to unequivocally distinguish cultivars’ responses to water stress. Electrolyte leakage, ion efflux, membrane injury index and maximum quantum yield of photosystem II showed genotypic differences between cultivars. Despite these genotypic differences, the photosystem II electron transport rate was not significantly affected by water stress. The membrane injury shown may have been transient, probably due to a disarrangement in the phospholipid bilayer. The use of the two experimental procedures on the same leaf samples was less time-consuming and allowed for more reliable results. 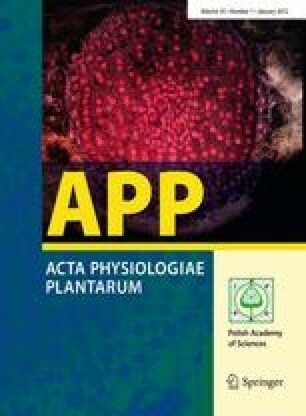 Furthermore, the procedures proved efficient for selection of physiological water-stress tolerance traits and could be employed in other plant experimental models. The online version of this article (doi: 10.1007/s11738-012-1054-3) contains supplementary material, which is available to authorized users. The authors are grateful to EMBRAPA-Algodão and the Instituto Agronômico de Campinas for kindly supplying castor bean seeds and to J.S. Garcia, C.K.R. Barbosa, A.C. Souza and M.S. 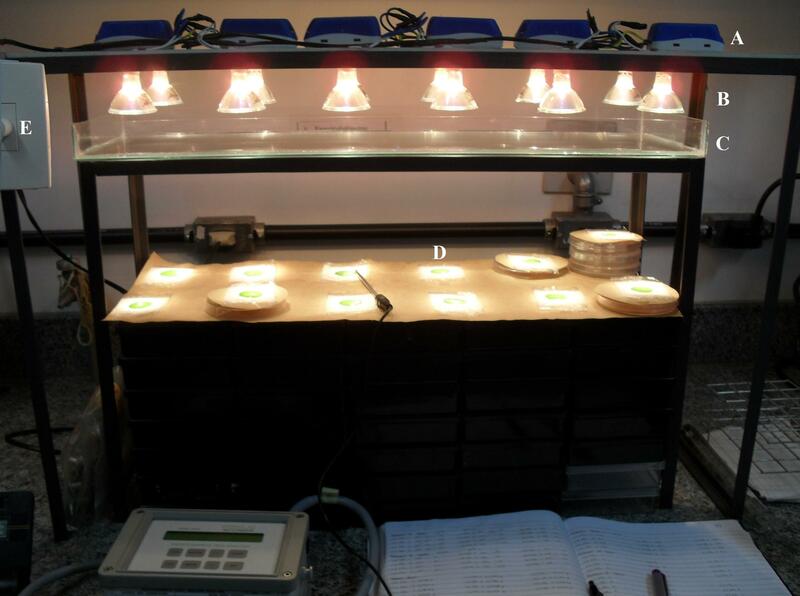 Silva for assistance with plant cultivation and the experiments. We also thank Alistair Hayward for the translation and review of the English version of the text. This work was supported by FAPEMIG.